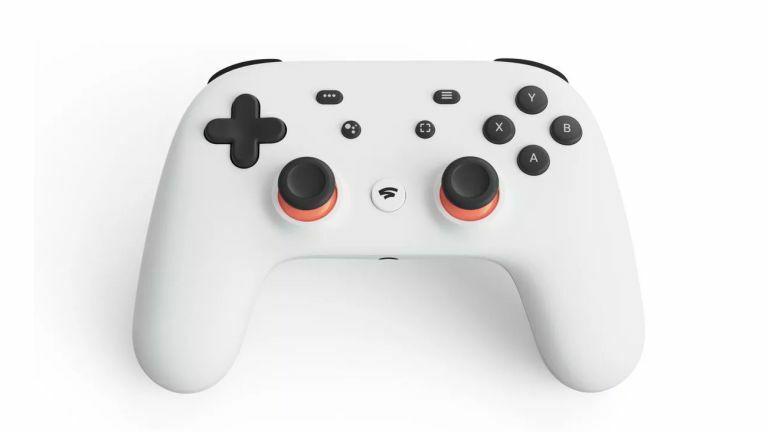 Google has unveiled a new cloud-based gaming platform known as "Google Stadia" during a feverishly-anticipated presentation at the Game Developers Conference (GDC) in San Francisco today. Originally codenamed Project Yeti inside the company, the new Stadia platform offers instant access to AAA titles – no patches, updates, or downloads necessary. Games can be played across a multitude of devices, too. Phones, tablet, Chromecasts and laptops can all access console-quality games via Stadia – with saves and settings carrying over between devices, Google says. This lead the Californian tech company to proclaim that "the future of gaming is not a box" – a thinly-veiled jibe at the next-generation of "box" consoles from the likes of Sony and Microsoft, purportedly dubbed PS5 and Xbox Scarlett. However, Google Stadia is not merely a game streaming service. Google has also incorporated the vast community of YouTube personalities who livestream their gameplay to huge audiences online, too. Players will also be able to record gameplay in 4K HDR quality to edit at a later date. One of the first games to launch with the service will be Doom Eternal, which will support 4K resolution, HDR, and 60 frames-per-second gameplay. Unfortunately, there's no launch date as yet. Doom Eternal isn't an exclusive title and will launch on PC, Sony PS4, Xbox One and Nintendo Switch later this year, too. However, Google isn't just stopping at Mac and PCs. Since the processing grunt is all handled on remote servers owned by Google, console-quality high-resolution games can be played on devices without anything like the specs typically required to play titles of that calibre. The company showed Assassin’s Creed Odyssey playing on a Pixel Slate, the "cheapest desktop PC that we could find", a Google Pixel 3 smartphone, as well as a Chromecast Ultra directly on your TV. Assassin’s Creed Odyssey is not the type of high-end title that you'd typically be able to play on an HDMI dongle or smartphone. The latter means the new service would go head-to-head with the Nintendo Switch – a home console that can be played on-the-go using the built-in six-inch touchscreen. Unlike the Switch, the need for a constant internet connection on Stadia means it won't be much use on a longhaul flight ... so you'll have to stick with Mario Kart 8 Deluxe for that at the moment. Google Stadia support cross-play at launch, so those playing Pixel 3 will be able to take on rivals on PCs, Chromecast Ultra dongles, and more. Not only that, Google will allow your progression in the game to move between devices, so you can play on your Ultra HD TV via Chromecast at home, then pick-up where you left off on a Pixel 3 XL during your commute. At the same time as gamers are playing titles on Google Stadia, the platform can also output a second 4K UHD stream directly onto YouTube. That means players will be able to revisit their highlights, or stream to the community in the highest possible quality available. And it's not simple video clips, either. Stadia has a new feature called "State Share" that let gamers share exact moments within a game – like a particularly tricky boss battle – so others can jump straight in and play. Google says existing USB controllers will work with Stadia on laptops and desktop computers, the company has also produced its own Stadia Controller. It looks like a healthy mix of the Xbox One and Sony PS4 controller – with just a pinch of Nintendo's Switch Pro gamepad, too. The controller connects to Stadia directly using Wi-Fi to control the session taking place in the cloud. This is likely to help remove the latency issues that have plagued earlier iterations of this type of game-streaming service – cutting out the PC, smartphone or Chromecast displaying the game entirely. There's a designated hardware button to capture and share clips directly to YouTube, as well as a Google Assistant button to summon the talkative AI assistant. Google has partnered with AMD to build custom GPUs for its data centers to fuel this all-new cloud gaming experience. According to Google, the chip will deliver a staggering 10.7 teraflops of power. For comparison, Xbox One X has around 6 teraflops of power and the Sony PS4 has 4.2 teraflops of processing grunt. Stadia will launch sometime in 2019, Google says. The streaming service will roll-out in the United States, Canada, the UK and Europe first, with more countries planned in future. Unfortunately, there's no word on pricing yet, but Google promised to bring more details about its Stadia service this summer. So stay tuned.